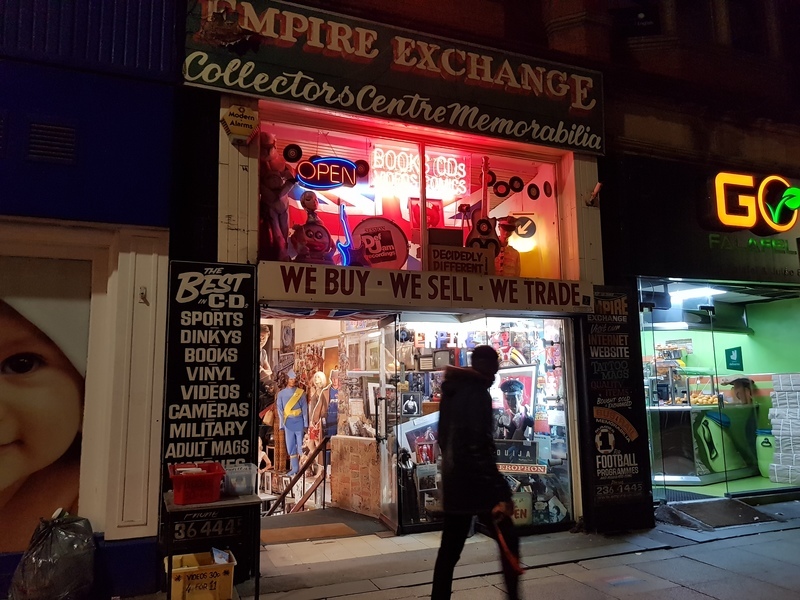 VIVA discovers a time machine located right in the heart of Manchester, called “Empire Exchange“. It is a sunny Sunday, which rarely happens in Manchester, where the “English summer rain” song by Placebo can be the soundtrack no matter the season. Surrounded by adverts and shops selling the newest, the latest technology and clothes, there is one corner called “Empire Exchange” where time seems to have stopped. 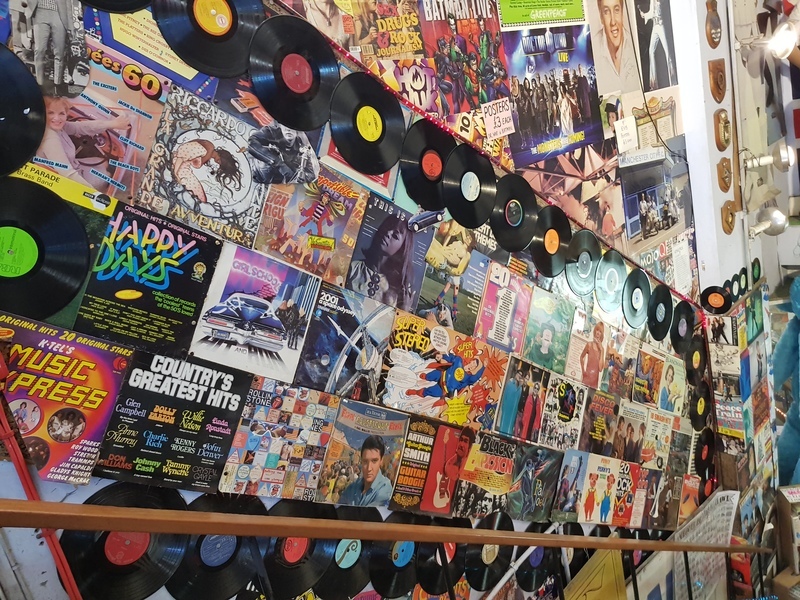 Close to Piccadilly Gardens, on Newton Street, just at the corner with Subway, there is the “Collectors Centre Memorabilia” sign and a bunch of vintage-hippie stuff that entices you in. It is not just the looks, but the books too. A box filled with books with a paper sign saying: “30p, 40p books”. There are few titles that give you a bit of a taste of what is coming up as you go down the stairs – because it is a shop based underground. Books called Three curries and a shish kebab, but also titles like The Diary of a mother, her son and his monster wait for an interested passer-by to buy them for almost nothing. That’s right – whatever you are looking for, you can find. Along the stairs, where the journey starts, vinyl disks are following you and everywhere you can see posters which became yellowed by the passing time. Not like today’s Instagram filters. A previous visitors of June 2017 reviewed the Empire Exchange shop as “a wonderful place to browse and rummage through years past” on TripAdvisor. After 30 years since the business started, it is now run by Ian Stott, 61, of Chorlton, and his colleagues who are self-employed. Ian has been working for Empire Exchange for 22 years now and he is a guitar collector. He has 63 so far, carefully chosen by “how nice they sound”. Apart from his jobs, Ian has a 22-year-old daughter and has two academic degrees, one in electric engineering, and one in music. He explained the gap between the subjects is not actually a gap, as having both degrees he is able to design and build studios. “I used to design and build music studios. I was given a budget and I would find the most convenient way to build a studio, depending on what the client wanted. 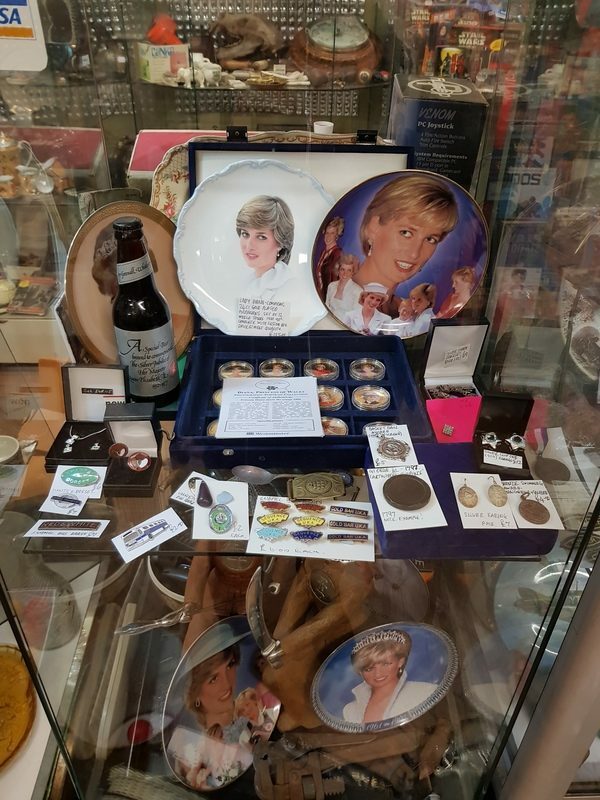 If you browse for few minutes, you will find a box filled with DVDs where three kids’ videos can be yours for a fiver, records, vinyl discs, comics and even Princess Diana medallions made of 24ct gold worth over £100. Basically, the shop sells memories. The business started 30 years ago when the first owner realised he had so many stamps and books he had no more room to keep them, so he opened a shop. When you see books, comics, records, and DVDs for such a small price, you may ask yourself: what is the most expensive thing you can buy? Ian said: “The most valuable item we ever sold was a piece of pottery which was just over £2,500. That was extremely rare and it is unusual, we do not usually get that sort of thing. Even if some of the people would believe they discovered a piece of heaven, other ones who visit the shop complain, and this is where the week goes bad. But what does a good week looks like in a shop where everyone picks up the old pages that seem to be forgotten? “A good week is when we make lots of money, and we have nice customers. What I like about this job is meeting people. Interacting, and you never know what is going to come in. “You can have bad weeks, bad days, and suddenly something comes up. It can be hard work, it is extremely hard work, it’s long hours and some customers are just terrible. But customers are nice; we always have a chat with them. Unfortunately, Ian confessed that after the shop was moved several times because of the lack of business, Piccadilly Gardens will be the last stop. “This will be the last shop; we are getting a little bit old now. I have done it for 22 years, the other colleague has done it for 21 one years and the owner for 30 years and still does it. As you take the last step to exit the shop, the sun, the music and the sound of the city pull you back where two homeless men are dancing to the shop’s tune, smiling at everyone who passes by.